Posted February 3, 2017 by William Martin & filed under Headlines. Stand-up comedian Simon Amstell has written and directed his first feature length film for BBC iPlayer. Set in a utopian 2067, Carnage: Swallowing The Past looks back at a time when human beings ate other animals. 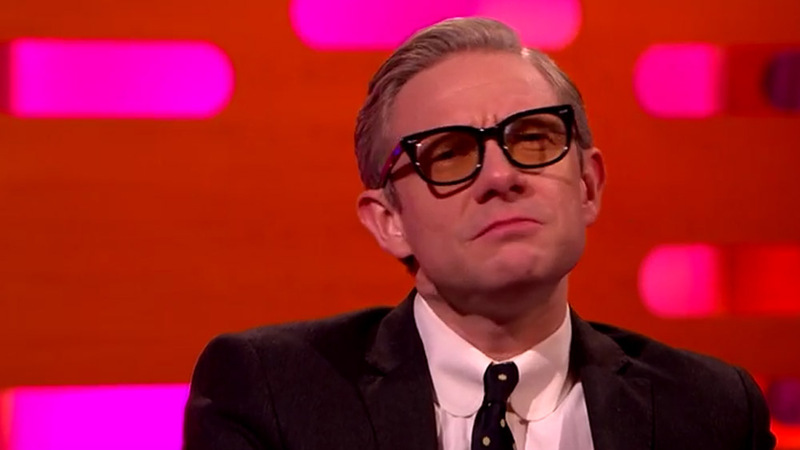 The film also stars Martin Freeman, Joanna Lumley, Dame Eileen Atkins, Lindsay Duncan, Alex Lawther, Gemma Jones, Linda Basset, Marwan Rizwan and John Macmillan, with Kirsty Wark, JME, Lorraine Kelly and Vanessa Feltz also appearing as themselves. Carnage will premiere on BBC iPlayer this spring.